No Hidden Fees The price you see is the Price you Pay! Helmets 30% off, RACE HELMET Name Brand!! 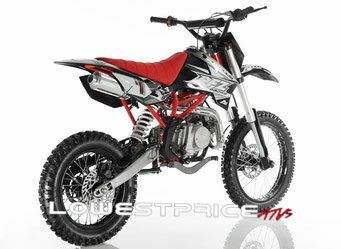 Lowest Price ATV has selection of Dirt Bikes for Adults is second to none. 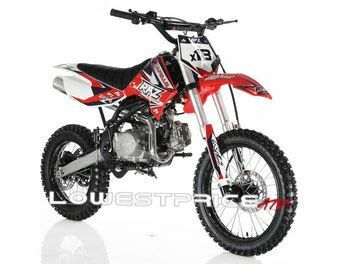 Find cheap Dirt Bikes for Adults like the APOLLO DB-X18 125cc RFZ 125cc RACING Dirt Bike, 4 stroke, Single Cylinder. Shop our online store today and save big! FREE Shipping on all vehicles. FREE 3 Month Manufacture Warranty! Click here for full details. FREE MCO for vehicle registration. FREE PDI/Tuning before unit ships! FREE SHIPPING Directly to Your Home, Not to A Terminal ! 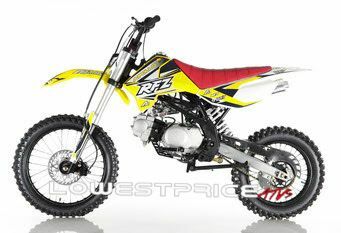 This DIRT BIKE comes with 1 Year Engine Warranty + 30 Days Defective Parts Warranty. If you have any questions feel free to let me know. Please note this warranty will under no circumstances cover labor or any other fees that may arise due to an warranty issue. This warranty covers parts only. 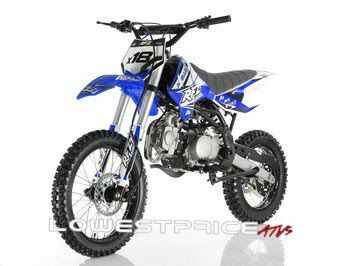 This is a brand new bike and some times requires small carburetor adjustments. PDF files for assembly will be forwarded to your email after your purchase. A technician might be required if you are not familiar with assembly instructions.